Always amazing, one of the best cupcake/ cake stores around. The PB&J cupcake was absolutely delicious. Come here, now. It will be hard to stop yourself from getting more than one item. Very expensive cupcakes!!! I don’t think I have ever spent $3 for a tiny cupcake before. But after taking a bite into the cupcakes then I understood the cost. The cream is very silky and the cupcakes are moist. They even taste good after being refrigerated for a few days. The cream filling is a nice surprise. 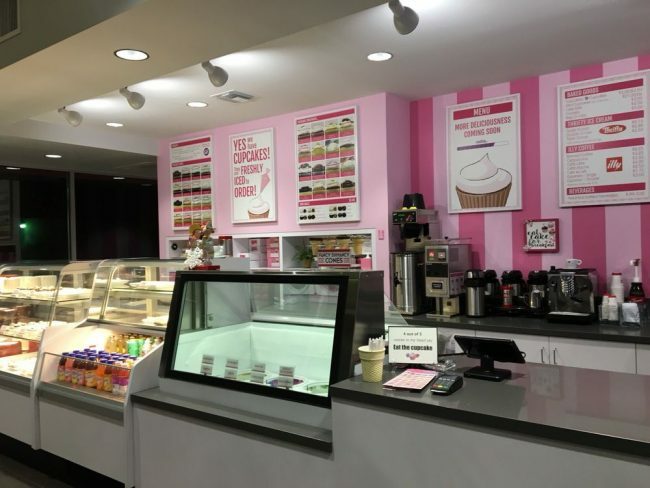 Even though it is kind of expensive, this is my go-to place if I want a cupcake!!! Always the best cupcakes we always come here when craving cupcakes. Great service and very clean! [Review] 5 Star Wedding Cake Shop! Last time I reviewed how amazing our cake tasting went and this time I’d like to review now that the wedding has passed. I enjoyed our cake so much, it added to the perfection of the day!! I’m waiting for our photographers to send us our photos so that I can post how beautiful it looked and tasted! If I could give this place more than 5 stars, I totally would!!! I would HIGHLY recommend this place not only for your special day but parties as well! It’s worth the cost! Trust me!